Within the next year, global consumer internet video traffic will account for 80% of all consumer internet traffic— in other words, video’s not going anywhere anytime soon. How do you create videos that will capture the attention of your target audience? Use the form below to get access to our recent talk, “How to Create Engaging Video Content.” Join Janelle Bevan, NextThought Studios’ Head of Video Production, as she shares tips for creating memorable (and effective) videos. Janelle Bevan has worked with many nationally recognized organizations, creating documentaries for the National Association of Broadcasters, designing and editing instructional videos for the Federal Emergency Management Agency, as well as producing the 2015 Broadcast Education Association awards show in Las Vegas. Janelle is a six-time Telly Award winner and won a 2016 Emmy for her documentary featuring a collaboration from three executive producers of AMC’s The Walking Dead. 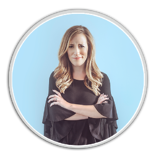 Janelle has since served as NextThought’s Director of Post-Production and Media Management and helped facilitate over 1,000 videos in the last year. What will you learn from this webinar? The best way to make an impression on your audience is to elicit a strong emotion. It doesn’t matter what that emotion is— it can be sadness, fear, laughter, or anything in between. The important thing is that you trigger an emotional response. Determining your video’s target audience, primary goal, the key points you need to make, and any outside influencers will help you form your message. A video without a clear message will be a muddled, incomprehensible mess— don’t waste your time (or your audience’s time) by trying to make a video without one. Attention spans are shrinking; videos longer than two minutes suffer from a significant drop-off of viewers. It’s important to balance the desire to include the content you feel your audience needs to see with the length of time that they’re willing to pay attention. 55% of people watch videos online every day, and that number is only going up. Video allows you to connect with your target audience in the manner that they prefer. Watch our offer, How to Create Engaging Video Content, to learn what it takes to make content that converts. Did you know? We do more than video production. NextThought Studios is a NextThought company.